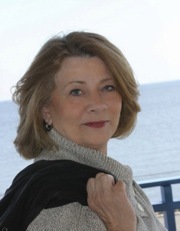 During her first Newport season, Deanna Randolph attends a ball given in honor of Lord David Manchester, a Barbadian sugar magnate, and his sister, Madeline. The Manchesters are an immediate success—along with their exotic manservant and his fortune-telling talents. But on the nearby cliffs, a young maid lies dead—and suspicion falls on Joseph Ballard, a member of one of the town’s most prestigious families. 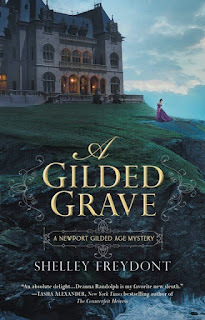 I love historical mysteries and am fascinated by the Gilded Age, so of course I enjoyed A Gilded Grave. Deanna is a strong, intelligent protagonist who determines to solve the mystery of a servant's death in a time where such independent behavior was not expected (or desired) for women. I like her camaraderie with her maid, Elspeth. I also like Joe, her former romantic interest. Although he is from a very moneyed background, he wants more and starts a shop to work on mechanical inventions (like a machine to bag sugar). I especially enjoyed all scenes including both Deanna and Joe. This mystery is rich in historical details and nuances. We glimpse the life "downstairs" of Elspeth and the late Daisy. The scene where Elspeth and Deanna go to Daisy's small room to pack her meager belongings is moving. We see the police automatically pursue a working class man as the suspect in Daisy's tragic death because they cannot consider a man with an upper class background as a suspect. We see Deanna and Elspeth reading "penny novels" about lady detectives that pique their interest in mystery. We see Deanna longing to play tennis at a party, but having to watch instead because she is a woman. 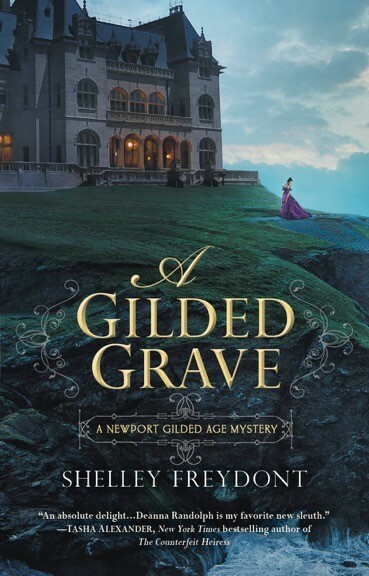 A Gilded Grave is such an intelligent, well written mystery. There are wonderful characterizations in this book, with lively dialogue. I felt I really got to know these characters through the novel. I hope this is the first book in a series, because I want to read more! I enthusiastically recommend this book for fans of historical fiction, historical mysteries, and anyone interested in the Gilded Age. I received this book from Great Escapes in exchange for an honest review. Sounds like a really good story and a great summer read. Sharing! This sounds like an good mystery, set in a time I don't know much about! Thanks!